Last year, California became the first state in the U.S. to recognize cannabis in veterinary medicine, providing legal protection to veterinarians who talk with pet owners about its use. A bill before the state Legislature this year would go a step further, allowing qualified veterinarians to recommend cannabis for pets. The expanded latitude is important because discussions with clients about cannabis often lead to pointed questions from clients about what products to use and at what dosages, said Dr. Gary Richter, a veterinarian with a holistic medicine practice in Oakland, and an advocate of the change. “Where does ‘discuss’ end and ‘recommend’ begin?” Richter asked. The bill, SB 627, authored by Sen. Cathleen Galgiani, a Democrat, is scheduled for a hearing on Monday before the Senate Business & Professions Committee. But before that comes a potentially make-or-break review on Wednesday by the California Veterinary Medical Board (CVMB). Richter said opposition from the regulatory board likely would scuttle the bill, while support or a neutral stance would enable it to move forward. The CVMB is in the midst of developing guidelines for veterinarians to discuss cannabis. The board must complete and post the guidelines by Jan. 1, as directed by the law passed last year. California has a history of breaking ground on the legal status of marijuana, a drug derived from the cannabis plant. In 1996, California became the first state to permit the use of marijuana as medicine for people. Today, 34 states and the District of Columbia, Guam, Puerto Rico and the Virgin Islands allow marijuana for medical purposes, according to a tally by the National Conference of State Legislatures. In the past seven years, 10 states — California among them — have legalized recreational use of marijuana by adults. However, the drug remains prohibited by federal law. Hemp, which also comes from the cannabis plant, was illegal until the passage of the 2018 Farm Bill. Now industrial hemp is legal nationwide but the legality of products made from hemp is complicated, subject to a tangle of provisions. Further, the U.S. Food and Drug Administration maintains authority to regulate food and drug products containing cannabis and cannabis-derived compounds, including cannabinoids. To date, the FDA has approved only one drug derived from the cannabis plant — Epidiolex, for treatment of certain epileptic conditions — and several products containing synthetic cannabinoids. The many cannabis products being sold online, in brick-and-mortar stores and in farmers markets occupy a regulatory gray zone. Epidiolex, approved in 2018, contains cannabidiol, usually referred to as CBD. One of many biologically active compounds in cannabis, CBD is distinct from tetrahydrocannabidiol, or THC, which causes the “high” associated with marijuana. CBD does not cause intoxication or euphoria. Of all the cannabinoids, CBD has generated the most interest recently in its possible therapeutic properties. The bill’s provisions would apply only to “qualified veterinarians,” defined as veterinarians licensed in California who have completed a medicinal cannabis program approved by the American Association of Veterinary State Boards’ Registry of Approved Continuing Education (RACE). Richter said several RACE-approved programs in veterinary cannabis exist, and there likely will be more in the future. “Obviously, it would be the purview of the Veterinary Medical Board to make a list of acceptable courses,” he said. He disclosed that he is co-teaching with Dr. Trina Hazzah, a board-certified oncologist, a “Cannabis in Veterinary Medicine” online continuing-education course this month. 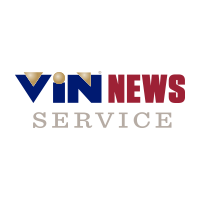 The course is hosted by the Veterinary Information Network, an online community for the profession and parent of the VIN News Service. Based in California, with members around the world, VIN has not taken a position on the proposed legislation. The California Veterinary Medical Association is recommending that the bill be disapproved unless it is amended, CVMA executive director Valerie Fenstermaker told the VIN News Service today by email. Fenstermaker did not specify what part of the bill the CVMA wants amended. Richter said inquiries from clients led him to study the potential of cannabis as medicine for veterinary patients. Among pet owners, there is increasing interest in using cannabis to treat a variety of conditions, including anxiety, pain, seizures and cancer. Then, he said, they come to his clinic with products in hand and which they should use. “Now where am I?” Richter said. Leaving clients to sort out dosing themselves based on information they’ve been given by non-veterinarians or information they find online is risky, he said. Considering that dosing often is expressed in milligrams per kilogram of weight (mg/kg), Richter said it’s “incredibly easy” for an untrained person to miscalculate. “If you shift the decimal point one way in the wrong direction, that’s the difference between efficacy and your dog in the emergency room,” he said. New York: A970/S2835 would allow animals patients the same access as human patients to medical marijuana for specified conditions. Connecticut: HB 6518 would protect veterinarians from arrest, prosecution or disciplinary action for discussing marijuana. Tennessee: HB0793/SB0541 would prohibit licensing boards from disciplining health care professionals, including veterinarians, based solely on their recommending or marketing products derived from industrial hemp.